Kai Kuehn is a professional teacher for Escrima, self-protection and self-defense located in Bremen, Germany. His path in the martial arts began with Taekwondo in 1989. In 1994 he discovered Escrima and started his journey in the Filipino Martial Arts (FMA). He teaches Escrima since 1998. He won several Escrima full contact tournaments. Kai teaches his personal Escrima style (Core Escrima) in his Escrima club in Bremen and also teaches seminars and personal trainings for Escrima and self-defense all across Germany. Kai is the founder of the Hammer Concept Protection. He is also a certified instructor for Latosa Escrima Concepts under Grandmaster Rene Latosa as well as instructor and national coordinator for Eddie Quinns The Approach self-protection method in Germany. 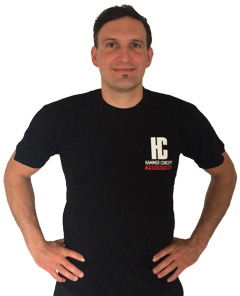 Kai Kuehn teaches the Hammer Concept Protection in seminars and personal trainings in Germany and worldwide.